Hannah has over 20 years of experience teaching violin. 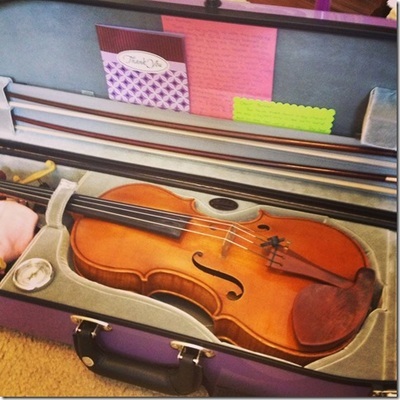 She believes anyone can learn to the play the violin at any age, and teaches lessons to each student on a personal level, trying to give them what they need and enjoy in order to become the best violinist they can. 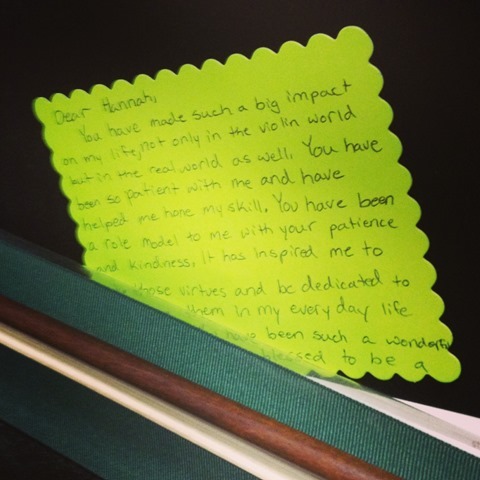 Hannah also hopes to spread her love of the violin to everybody. Hannah teaches private violin lessons out of her home near The Hill neighborhood in St Louis (a few minutes from I-44 and Hampton). She welcomes new students of all ages and levels but generally requires a weekly time commitment and encourages daily practice and participation in other studio activities such as recitals, festivals, and classes. Please contact her for more information about fees and hours. Her students have many performance and honor opportunities through her membership in the Missouri Federation of Music Clubs and the Music Teachers National Association. Many of her students participate in Solo and Ensemble through their school programs and she helps them prepare, and they often achieve high marks. She also has several students who have gotten college scholarships for music. Hannah encourages her students to seek outside ensemble opportunities, as part of the fun of playing an instrument is getting to play music with other people. Her students participate in their school orchestras, in orchestras at the Community Music School at Webster University, in District Honors Orchestras and All-Suburban Orchestras. They have attended summer music camps at the Community Music School, SIUE-Edwardsville, Eureka College, University of Illinois, and more. Hannah is Vice-President of Membership of the St Louis Area Music Teachers Association, serves on the American String Teachers Association Studio Teachers Committee and is a member of the Suzuki Association of the Americas. She feels that being part of the music community is important and seeks opportunities to advance her education and experience in order to be the best teacher that she can be. 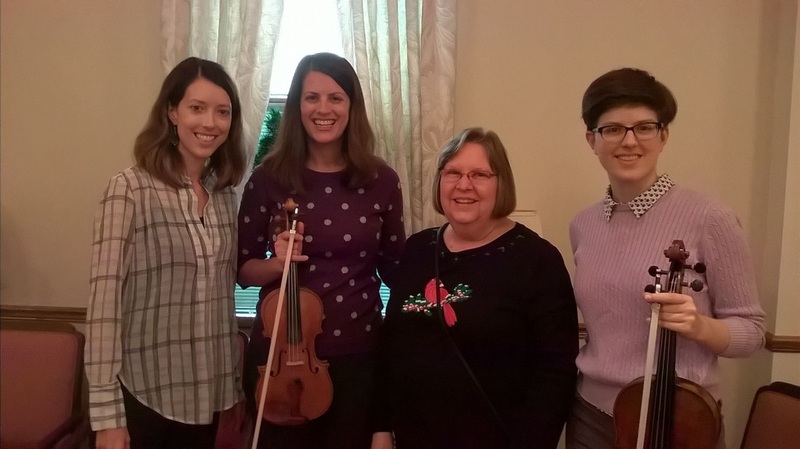 She was recently awarded a Teacher Enrichment Grant from the Music Teachers National Association in order to attend the Indiana University Retreat for Violin and Viola Teachers. Hannah holds two degrees from the Cleveland Institute of Music: a Bachelor of Music in Violin Performance (1999) and a Master of Music in Violin Performance (2001). Additionally, Hannah has taken many courses on Suzuki Violin Teaching, and has completed Part I of Indiana University's Retreat for Violin and Viola Teachers, taught by Mimi Zweig, Brenda Brenner, and more.